When Washington County residents want to enjoy nature, they need to look no further than their own backyards. 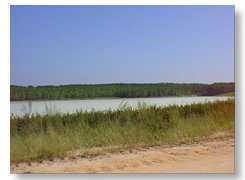 Thanks to the Georgia kaolin industry, that "backyard" now contains Lake Franklin, an award-winning recreational area developed for the community as a result of kaolin extraction. Washington Countys experience is not unusual. Communities throughout middle Georgia now boast acres of forest and pastureland, wildlife preserves, lakes and recreation areas that were once kaolin mines. "Lake Franklin is just one example of the many beautiful places in middle Georgia that were once mined land," said industry spokesperson Lee Lemke, Vice President of the China Clay Producers Association (CCPA), an industry association of kaolin producers in Georgia. 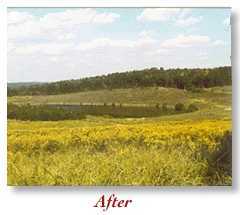 The state of Georgia has one of the most comprehensive reclamation acts in the nation, requiring that an acre of land be reclaimed for every acre mined. As mining is completed, the kaolin industry begins reshaping the land and restoring it to its natural state. Kaolin companies spend an estimated $1,700 per acre to reclaim mined land. "We work diligently to ensure the land is returned to a productive state," said Lemke. "The natural beauty of middle Georgia and the abundance of wildlife are testaments to the effectiveness of our reclamation efforts." 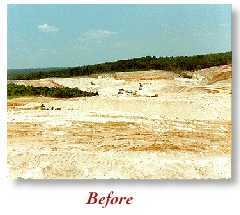 Companies prepare the land for mining by removing earth to reach the kaolin deposits, which are then transported for processing. Because kaolin can vary widely in quality from deposit to deposit and even within the same deposit, most companies operate more than one mine. Heavy machinery is used to remove the kaolin for processing. Once the kaolin deposit is extracted, kaolin companies begin one of the most important parts of the job  reclamation. The companies backfill the earth known as "overburden" into the mined areas to form a land contour compatible with the surrounding topography; gentle slopes are created. Long slopes are broken at regular intervals by bench basins or terraced catch basins. Fertilization and reseeding of the land often return it to a state that is more productive than it was before mining. Kaolin companies plant commercial forest tree species and other vegetative covers (grass and shrubbery) to stabilize the land. 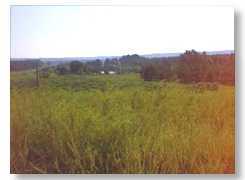 The vegetation also acts as erosion control, protecting the earth from wind and rain. The trees and plants are selected to be compatible with the natural environment and to be suitable for wildlife, forest production and agriculture. The kaolin industry is currently working with the University of Georgia to improve the growth of timber on reclaimed lands. The kaolin industry transforms mined land into forests and pasture lands, recreational areas, lakes, parks and other natural looking areas. Middle Georgia will benefit from these improved areas for many years to come. Kaolin is a non-toxic, non-polluting mineral used in a wide range of consumer and industrial products, including paint, paper, plastic, rubber, cosmetics, ceramics and toothpaste. The Georgia kaolin industry takes pride in its commitment to the safety of its product and the refining process. Kaolin producers have won numerous safety, environmental, plant appearance and land reclamation awards, including honors from the National Safety Council, Georgia Chamber of Commerce and the Georgia Mining Association.